Produced by Matthew Cullen and mastered by Howie Weinberg (Beastie Boys, Nirvana, The Ramones). It’s nearly ten years since The Lemonheads strummed to a halt on their ninth studio album, a perky well received set of covers that brought together many unlikely bedfellows (Gibby Haynes produced, Kate Moss did a cameo vocal). “Gram Parsons, Wire, and GG Allin: You'd be hard pressed to find three more disparate rock acts, yet on ‘Varshons’ they all sound like the Lemonheads - boppy, overcast alt-rock delivered at a fast clip and sung in a whiskey tenor” claimed Pitchfork. 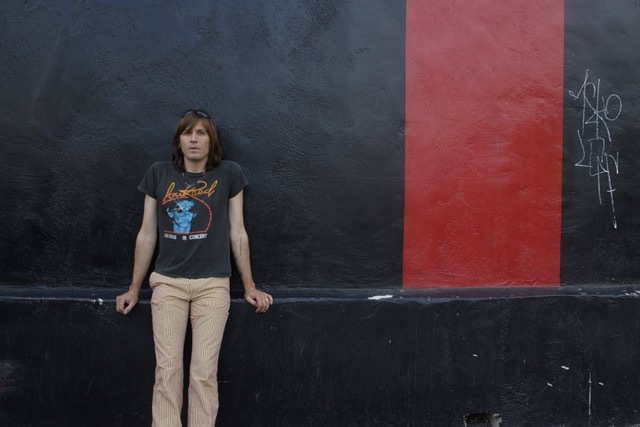 But, there again, Lemonheads’ mainman Evan Dando has this strange ability – he could sing his order for a takeaway over the phone and make it into an achy three-minute epic fit for any bar. Indeed, many moons ago when Bush was dallying with the big red button over a Middle East catastrophe, he delivered an impromptu ‘Eve Of Destruction’ losing his sunglasses due to added angst. Like then, Dando’s vocal twang pulled the edgy extremes of ‘Varshons’ into a seemingly hap hazard selection from some old hokey jukebox and ‘Varshons 2’, the band’s follow up repeats the formula with Evan way out upfront, his emotive slow maturing vocal making sense of another wide-beam playlist. He really has become one of the great expressive singers. Like Hank Williams slumped in his car between gigs, strumming and hollering, reasoning and weeping, humming it on over, Evan makes the tunes his own. He heralds the heroes, from Nick Cave and The Bevis Frond through to Yo La Tengo, Lucinda Williams and Paul Westerberg. These are stories to spin, tales to recount, none more so than John Prine’s endless highway on ‘Speed Of The Sound Of Loneliness’ and The Jayhawks maudlin beauty ‘Settled Down Like Rain’. As the white line carries forever on, the radio butts in and the Lemonheads reveal The Eyes’ raucous ‘TAQN’ before descending into the echoey nuance of The GiveGoods’ gorgeous ‘Unfamiliar’ – a tune Dando penned with former Smudge man Tom Morgan, a kind of drive by drug run of confusion that's hits like a Kerouac Om. The NME reported on ‘V1’ that The Lemonheads were ‘no strangers to a cover’, concluding that ‘the grunge-pop heroes perfect the art.’ On ‘Varshons 2’ they take a fork in the road that leads them deeper into the woods with Dando crooning woebegone nursery rhymes from darker days, turning The Eagles’ ‘Take It Easy’ into a road tale to end them all… “It's a girl, my Lord, in a flat-bed Ford, Slowin' down to take a look at me…” Crack a fifth of gin.